Have you ever had to transport a valuable motorcycle? It can be quite nerve-wracking. For many, even taking their prized two-wheeled possession on a long trip to the drag strip can cause some anxiety. The motorcycle and any contents surrounding it need to be as securely fastened as possible. Most motorcycles fall in the $5,000 to $25,000 range with some professional racing machines eclipsing $50,000. There are a handful of elaborate race bikes that crack the six-figure mark. Packing them in for a long ride is stressful and needs to be done with great knowledge and care. Now imagine having to transport an ultra-rare bike that just sold for $650,000 (more than $700,000 was paid when factoring in commission). 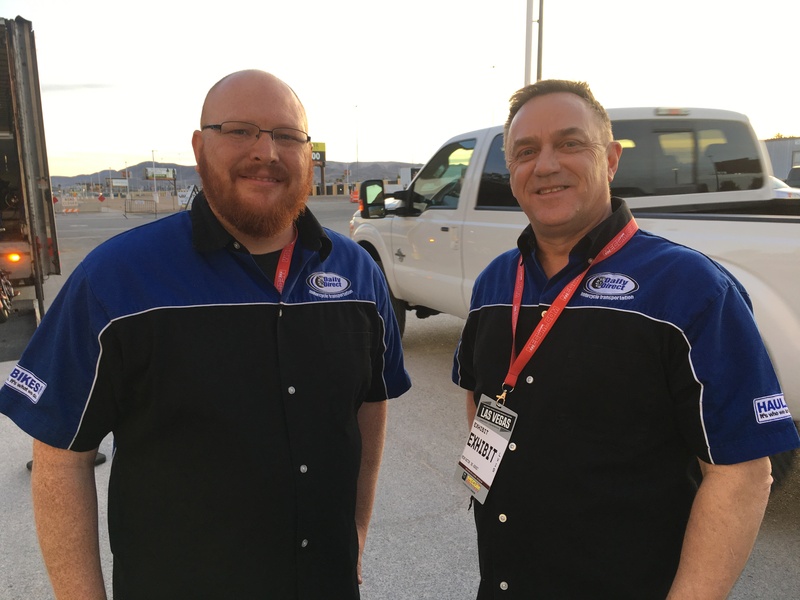 Mario Crim and Nathan Tracy from Haulbikes Motorcycle shipping service tell us what it’s like to prepare to move such an expensive motorcycle and dozens others at the Mecum Motorcycle Auction from Las Vegas, Nev.
Make sure to contact HaulBikes the next time you need a motorcycle moved! Click here to see HaulBikes transport the Cycledrag.com Hayabusa.